The turn-off for Ephesus archaeological site on the road west from Selçuk to the Izmir-Kuşadası highway. photos of the Ephesus Archaeological Museum, Selçuk. see Selçuk gallery 1, pages 3-4.
with the photos in our Ephesus photo gallery. How to get to Kuşadası. 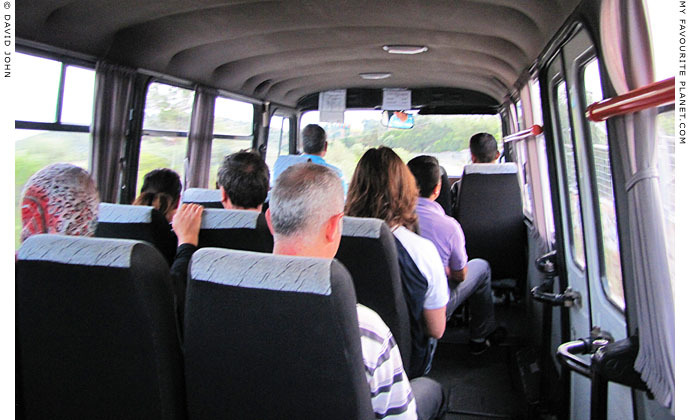 You can get to Ephesus from both places by dolmuş (minibus) or taxi. The Ephesus archaeological site has two entrances, upper and lower. The lower entrance is easier to get to, and that is where the minibuses and most tour coaches stop. You can walk the 3 km from Selçuk to the lower entrance. Following the wide pedestrian area, sheltered by mulberry trees, along the right side of the main road towards Kuşadası, which starts near the Selçuk Ephesus Museum and bus station. After 100 metres you pass the remains of the Temple of Artemis (see Selçuk gallery 1, pages 3-4) on the right. Continuing along the road, a large sign indicates a turn-off left (see photo at the top of the page) onto a small country road which leads directly to the lower entrance. From the turn-off it is around 1 kilometre to the entrance. If you have the time and energy, you can also walk from Selçuk to the upper entrance. The way is more complicated as there are several small roads and paths, one of which leads past the Cave of the Seven Sleepers. If you leave the Ephesus site from the upper entrance, the way is easier (downhill!) and the landmark Ayasuluk hill citadel, which is usually visible along the route, provides a good target for your way back to Selçuk. This walk can take 30-60 minutes. Riding around in a horse-drawn carriage is the most stylish way to get around the sights of Selçuk and Ephesus. The four-seater carriages here are known as faytons, and drivers tout for business at several key places around Selçuk and the archaeological site. For further details, see How to get to Selçuk. cheapest - and arguably the most convenient - way to travel around in Turkey. the money is passed from hand-to-hand to the driver by other passengers. There is a dolmuş (minibus) every half hour between Selçuk otogar (central bus station) and the lower entrance of Ephesus archaeological site. Journey time about 5-10 minutes. Dolmuşes between Selçuk and Kuşadası, the seaside resort town, 15 km southwest of Ephesus, also run every half hour and stop on the main road junction for the lower entrance to Ephesus Archaeological Site. Journey time around 20 minutes. Along the coast road between Kuşadası and Ephesus the dolmuşes also stop at hotels and beaches. Drivers will usually stop for you just about anywhere if you wave at them. Be sure to ask the driver for Ephesus as you get on the bus. From the bus stop it is a 1.5 km walk to the lower entrance of the archaeological site along a pleasant country road. Taxi drivers tout for business near the bus stop, offering to take you to the site entrance, or even on a tour including the Cave of the Seven Sleepers and the House of the Virgin Mary (Meryemana). In Selçuk taxis can be found easily in front of the railway station and at the bus station (otogar), and at both upper and lower entrances to the Ephesus archaeological site. Luggage does not cost extra. Tips are always appreciated (10-15%) but not obligatory. Deals usually include waiting times and lunch breaks at restaurants. 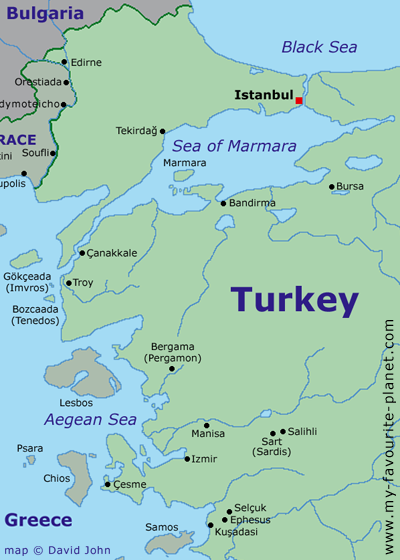 The area around Selçuk and Ephesus is flattish, with hills rising steeply to the north, south and inland (east). There are some good climbs, for example up to the House of the Virgin Mary (Meryemana) and to Kusadasi. Naturally, it can get strenuous in high summer when temperatures rise to 40 degrees Celcius. A good sun-blocker and plenty of are water strongly advised. Driving around Selçuk and Ephesus is generally easy-going and the roads are good. There are pay car parks around the town, at the lower entrance to the Ephesus archaeological site, and outside the House of the Virgin Mary (Meryemana). 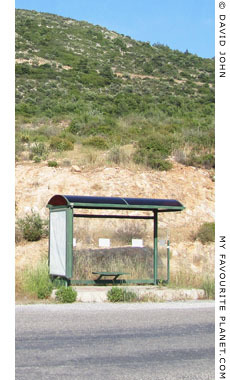 Parking at the side of the narrow country road near the Cave of the Seven Sleepers is more informal and ad-hoc. For information about tolls on Turkish motorways and bridges see How to get to Selçuk.